So you’ve done the belly, the newborn and family shots and maybe even a 3 month “smiles” session with your baby.. Next stop.. Sitting Up! The months have been ticking over at a rate of knots and all of a sudden, squidging about at your feet, is a dribbling, chattering little sitter looking up at you with wide, innocent eyes and latching onto the bottom of your leggings trying to tell you all about the outstanding crumb they just came across in their monstrous journey across the lounge room floor.. This is where you think, firstly, where did that tiny immobile baby go, then secondly, gosh that tiny immobile baby was more manageable than I originally thought.. and THIRDLY, I should totally capture this stage of my babes’ development!! (well, this is what the third thought SHOULD be, and I’ll tell you why). 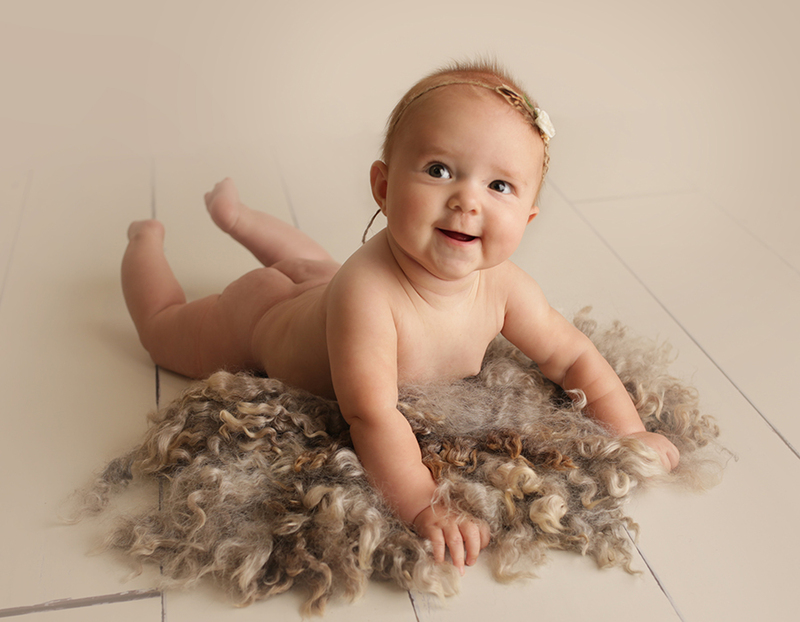 Babies at 6 months of age are full of smiles, tongues and belly laughs! 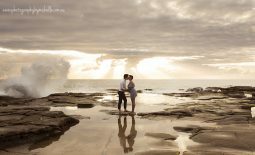 They are fully engaged in everything you are doing and so easy to draw emotion from.. I mean that squeaky toy!! ROFL!! And Peek a boo!!?? OMG it’s just too much for those little tummy muscles to handle!! There will never be a simpler time to capture that “Light up my world” smile that melts you on the spot. 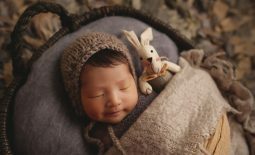 At this Sitting Up session, we can also capture some adorable “Tummy time” Roly Poly images along with “As many toes in the mouth that will fit” challenges!! (I LOVE these ones!!) Not to mention some adorable chubby bums and dimply thighs.. Why oh why does this stage have to stop being cute once we reach our 30’s.. (a question for a later blog maybe.. ha!) This is also a perfect time to snap some photos of the entire family together and of course the siblings!! 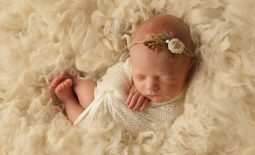 I’m sharing with you today, some images from a recent “Sitting Up” session where we opted for all baby images (family shots to come at the 1 year session in this case). 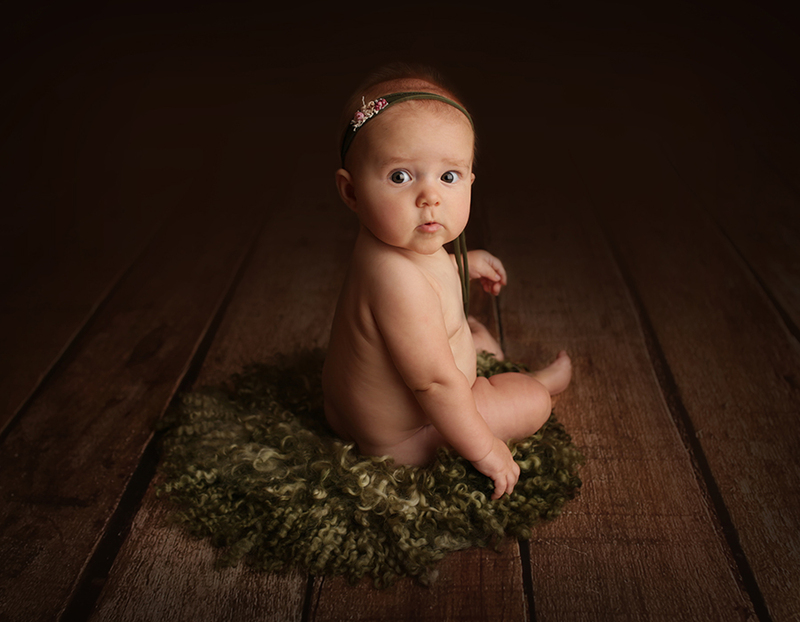 Sloan was such an accommodating little model for us, giving us a full range of emotion for her collection of images!! 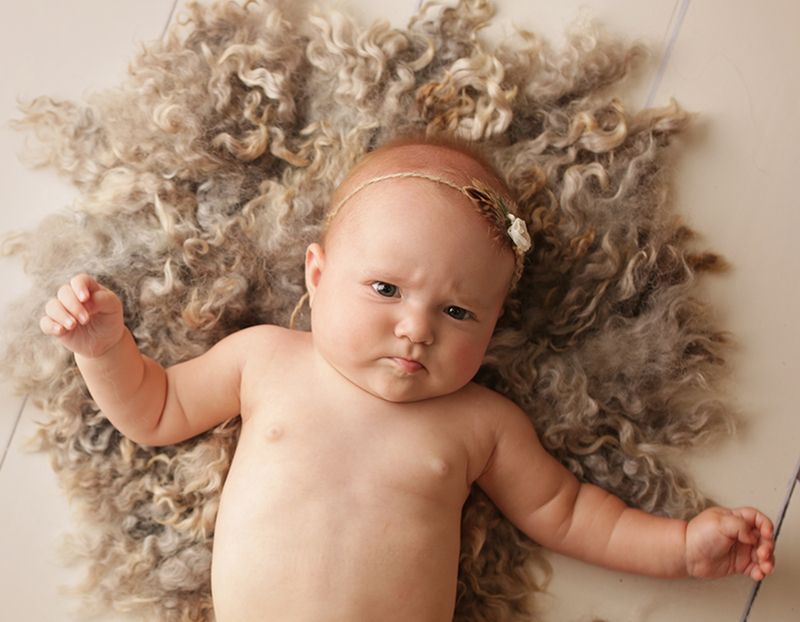 Her serious face just cracks me up (she gave me this exact face at her Newborn session also!). 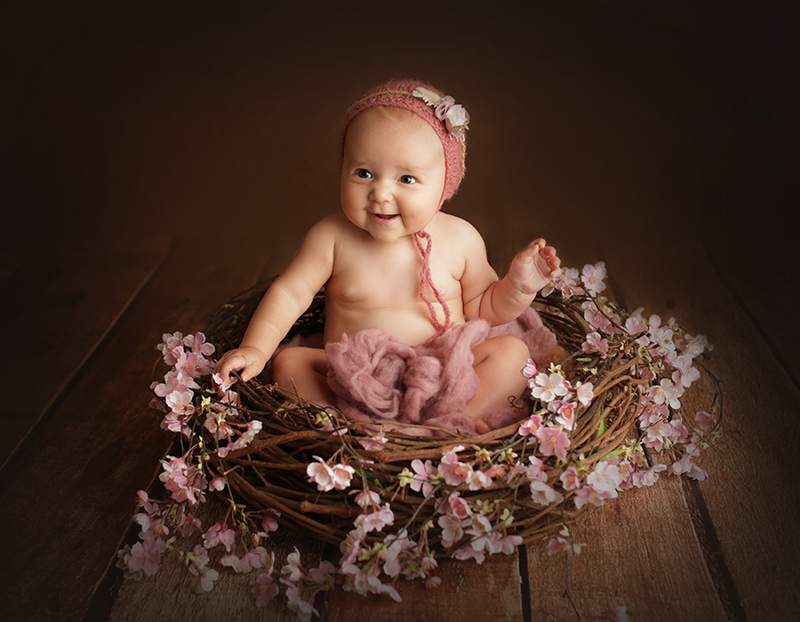 I invite you to view my newborn gallery and kids gallery. You can also return to my home page to learn more about what I have on offer. I am only too happy to help with questions, so get in touch via my contact form and let’s chat. To stay in the loop with specials, updates and some cute photos of bellies and babies, follow me on Facebook and Instagram.